Your peers often ask you for help and you seldom turn them down. You get a feeling of satisfaction watching others succeed knowing you played a part in their success. You’ve reached the top and are looking for new ways to grow income while helping others in the process. 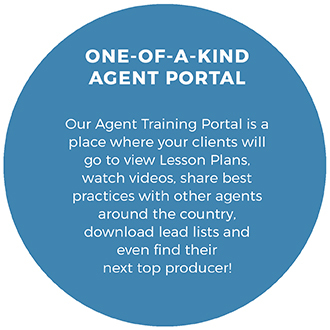 When you blend the substance offered through our Agency Training System with experienced, well-trained coaches, you get a service that’s perfectly tailored to help YOU and the insurance agents you serve GROW. If you are a business coach (or are considering becoming one), we would love to hear from you! Start Coaching Within 30-days of Being Approved! Join the ContractCoach Team Today! There are still a few spots left. Apply today to be a certified ContractCoach and access these exclusive benefits which will help you grow your business. The sooner you join, the more opportunity you will have to start working with the people you’re eager to help. There’s no risk to joining! Work at your own pace, charge what you’re worth, and attract the perfect clients to your new coaching agency. Yes, I want to Join the Team! To find out about our FREE Enrollment for New Coaches! Coach Memberships Starting at Just $150 Per Month!